I was mesmerized by the description of Gilded Wolves and thrilled when I received a copy. The promise of secret societies and art heists in Paris during the late 1800’s were all the temptation I needed. 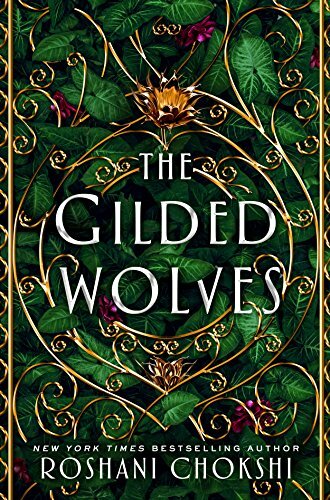 Gilded Wolves is a YA fantasy about an ancient order with a drastically diminishing number of houses. Severin is an exiled member of his house—and an antiquities thief–, trying to earn his way back by finding an ancient artefact. In order to do so, he enlists the help of a group of colleagues and friends, each as unique and varied in skill as well as personality. This book is rich in magic and artistry, as well as multi-cultural mythologies and beliefs. I found it very difficult to get in to, the first several chapters were slow to grab me in all honesty. But once I was finally drawn in to the story line, I was pulled along on a magnificent journey. I adore how intricately the mythos was woven into the storyline and the subtle undercurrent of history and science that happens throughout this novel. Of course there are comparisons to Six of Crows, but I think Gilded Wolves has set itself apart as it’s own unique world and Roshani Chokshi has developed it beautifully. Caraval is over and its secrets have been exposed…or have they? When Caraval ended Donatella Dragna had just received a message from “A friend” hinting that her mother would be proud, but that she must keep up her side of the bargain if she hopes to see her again. Bargain? Legendary opens on the day after Caraval. Scarlett and Tella are heading to Valenda for a special Caraval in honor of Empress Elentine’s birthday. Julian and Dante are still in the mix, as are some of the original Caraval actors. 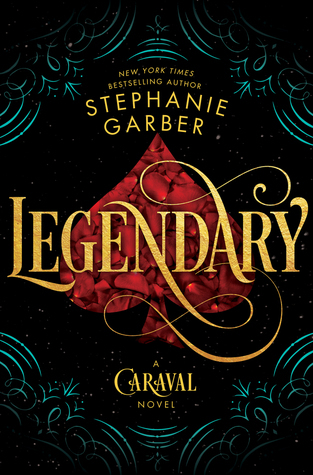 Legendary is primarily Tella’s story and weaves all the magic of Caraval with some deeper myths from these lands, both of which are a threat to the existence of the other. Legend remains a mysterious and threatening presence, and in order to save her mother, Tella must discover Legend’s real name. The Fates—gods who once ruled the world—are desperate to return and can only do so with Legend’s magic, but Legend aspires to have the power of the Fates. And, as with every other Caraval, it is impossible to know who is telling the truth, who is lying, who is living, and who is simply playing a part. Tella seems like a much stronger and more complex character in Legendary than she did in Caraval and it was nice to have this different POV. 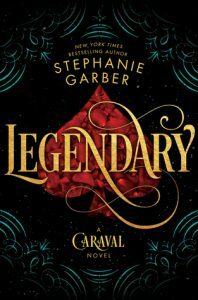 I thought Legendary had all the magic and beauty that I loved in Caraval, and the world building was amazingly vivid. My absolute, favorite part of the book though, was at the end. While I can’t share it (it’s a bit of a spoiler) I’ll say that I whispered, “Yes!”, as I closed this book! Mei is seventeen and just entering her freshman year at MIT. She is on track to become a doctor and to marry the ideal Taiwanese mate, all according to the “plan” laid out for her by her parents. The problem is Mei is a bit of a germaphobe, would prefer to be a dancer, and has zero interest in the boy her parents want her to marry. Mei has found herself pulled between wanting to pursue her own dreams and the knowledge of what it means to go against her parents. Mei’s brother, Xing, was banished from the family for following his heart and, as Mei discovers her own hopes and happiness, she fears how close she is to repeating his path. 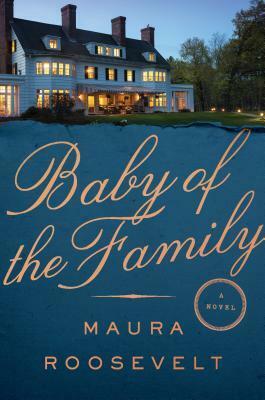 Mei finds herself torn between the desire to make her parents proud or to find her own happiness. 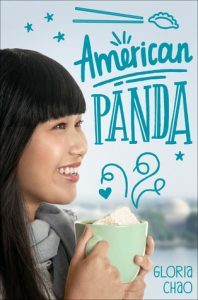 American Panda is engaging, and funny, as well as heartbreaking. The characters are so vividly portrayed I could hear them as if they were speaking and standing in the room with me. Even though this reality is so far from anything I’ve known in my life I felt the pain and pressure that Mei—and girls just like her—must feel. What a delightful and engaging story! *Thank you to NetGalley and Simon Pulse for the chance to read an ARC of American Panda. Imagine waking up in an orphanage surrounded by a strange mix of troubled kids. That’s exactly what happened to sixteen-year-old Echo Stone. Echo doesn’t know how she’s gotten to Middle House, an orphanage, because she has parents. But Middle House is actually an “orphanage” for the ghosts of murder victims. It’s a sort of purgatory that these “in-betweeners” are living in until they can solve their murders/finish their business. 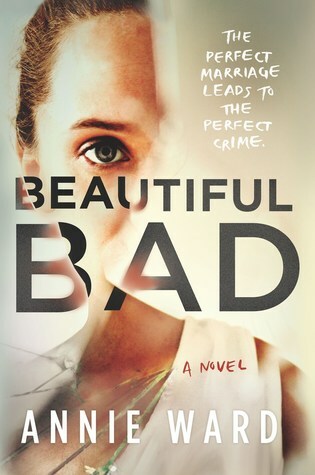 Echo not only discovers she was murdered, but she visits the gruesome crime scene. With the help of Cole, another in-betweener, Echo sets about to figure out who could have disliked her enough to murder her. She also discovers she might not have been as well-liked as she’d imagined. As the book opens I found myself as bewildered as Echo must certainly feel. What a strange place Middle House is! It took some time to get my bearings in this book and figure out what was going on. 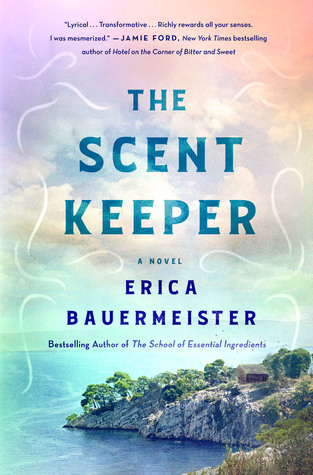 I appreciated the adventure of Echo trying to solve her own murder, dealing with the reality that her life—and those she loved—are far out of reach for her, and I found this to be a quick and easy read. My criticisms are that I can’t say I ever really felt a connection to Echo, I was interested in the story, but didn’t develop the deep level of connection which makes me really care about the character. I also didn’t feel invested in her romance with Cole. Overall, it’s a good, quick read for someone looking for something “light”. 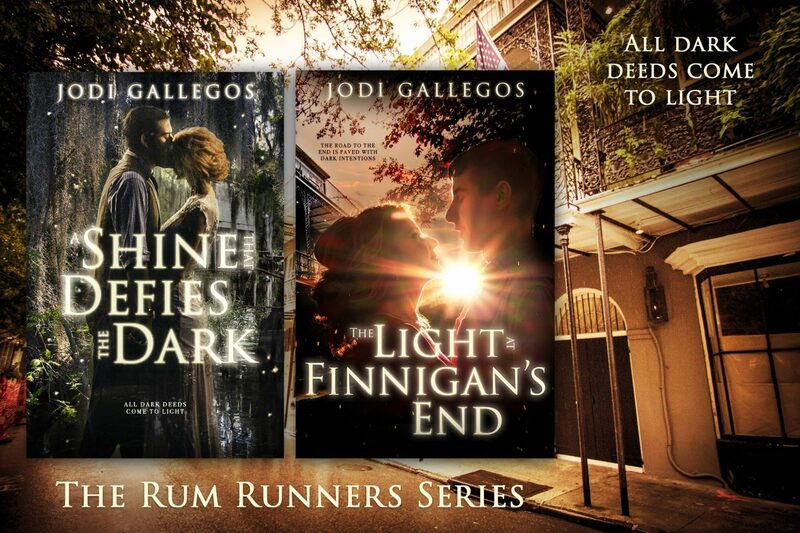 I mentioned when I reviewed POOR BOY ROAD (book 1 in this series) that I have a life-long obsession with all things mob related & am frequently disappointed in crime related books. That is even more often the case where sequels are involved. ARES ROAD, however did NOT let me down. Jake Caldwell (former mob enforcer) is now trying to make his way on the right side of the law. He’s learning the PI business with the help of ex-cop Logan and they are hunting down a stolen briefcase. But that search has turned up a dead man and a girl screaming on the end of his cell phone. 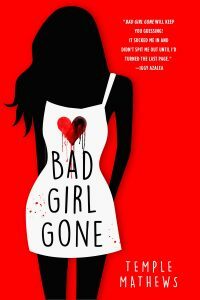 Jake is pulled into a deadly ring of bad dudes (Russian & Middle Eastern mob-types), crooked politicians, an FBI agent with her own secrets and crooked cops. And behind it all, his former mob boss still lingers. 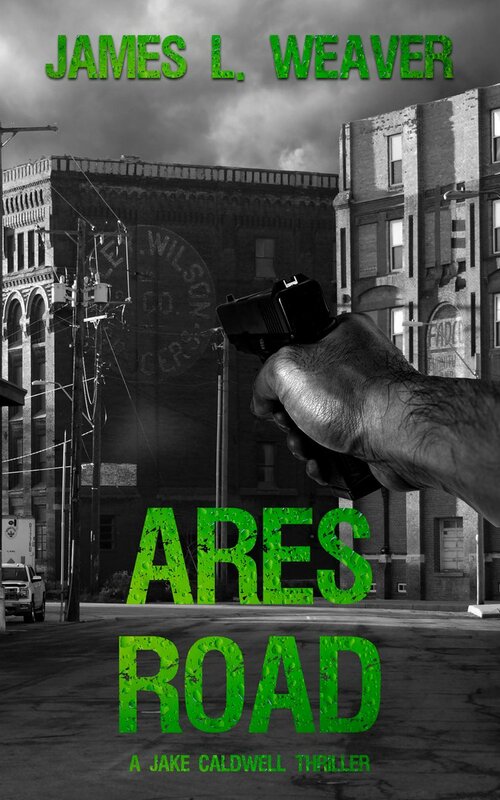 ARES ROAD is another fast-paced thriller that was just as exciting as its predecessor. And now I can’t wait for the next book in the series. 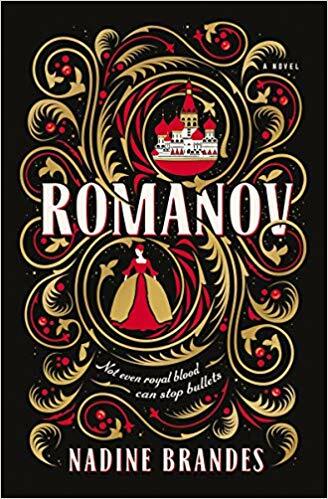 I have a life-long obsession with all things mob related and am often disappointed with the books that purport to have mob-related characters or story lines. POOR BOY ROAD was not a disappointment. I was hooked from the first paragraph. Jake Caldwell is an enforcer for the mob. Now he’s heading home where the abusive father he escaped from years ago is dying. He is also on deadline, his boss has given him a way out of the “business” only it involves taking his bone-breaking work to the next level: murder. Jake’s new life and the old collide as he faces family obligations, old friends, a rekindled love, and the ticking clock of a murderous and unforgiving boss. 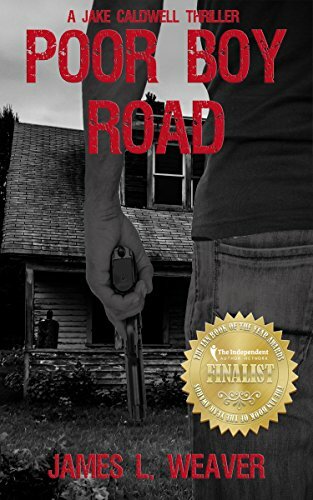 POOR BOY ROAD is a fast-paced thriller that was hard to put down. It is well written with realistic characters and dialogue. My interest never waned and I really cared about the characters. This is a story that could be happening in any town right now, which makes it even more realistic. I can’t wait for the next book in the series.